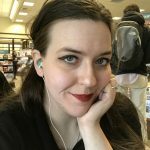 Much remains unknown of the spirit realm and the dead, and with the Halloween season quickly looming over us, I wanted to help set the record straight. What goes on in the day to day of the spooky? Where do they hang out? What are their hobbies besides haunting? 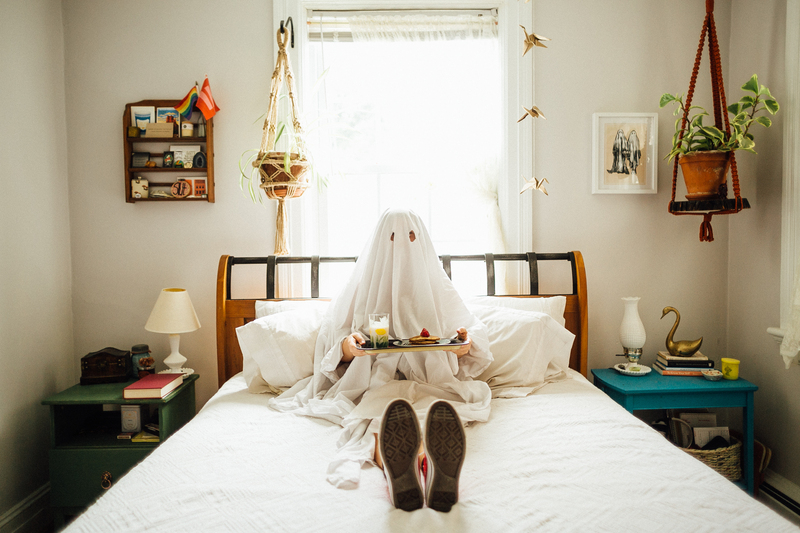 To do that, I spent a day with a ghost. 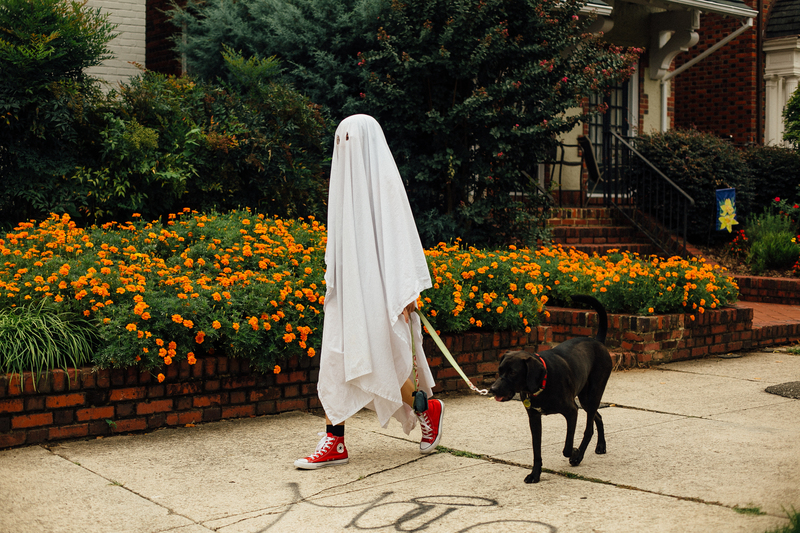 And not just any ghost, Richmond’s most popular yet still mysterious ghost currently floating around all of the city’s hot spots like Don’t Look Back, Rest In Pieces, and Scoop RVA, for some Ice “Scream.” Sorry in advance for all the puns. We learned just what it was like to be in their shoes, well, if they wore shoes, and followed them along as they went about their mundane day. 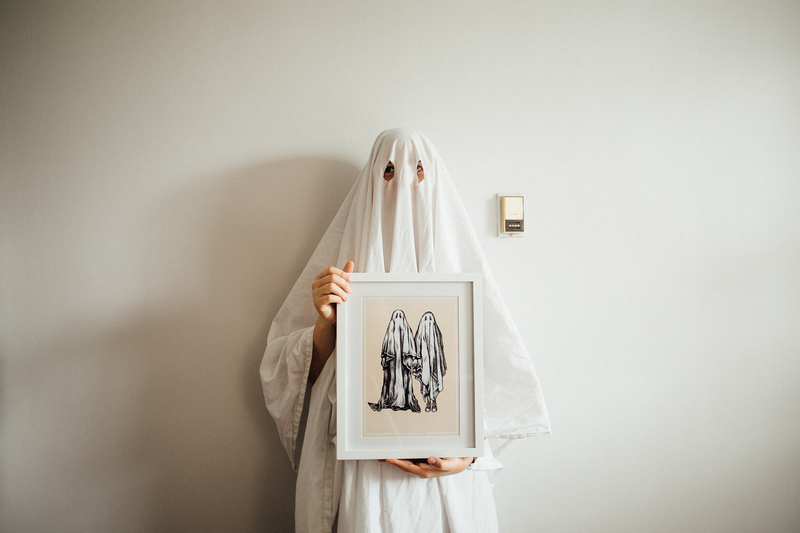 They even stopped into the RVA Mag office to haunt our halls and tell creepy tales. 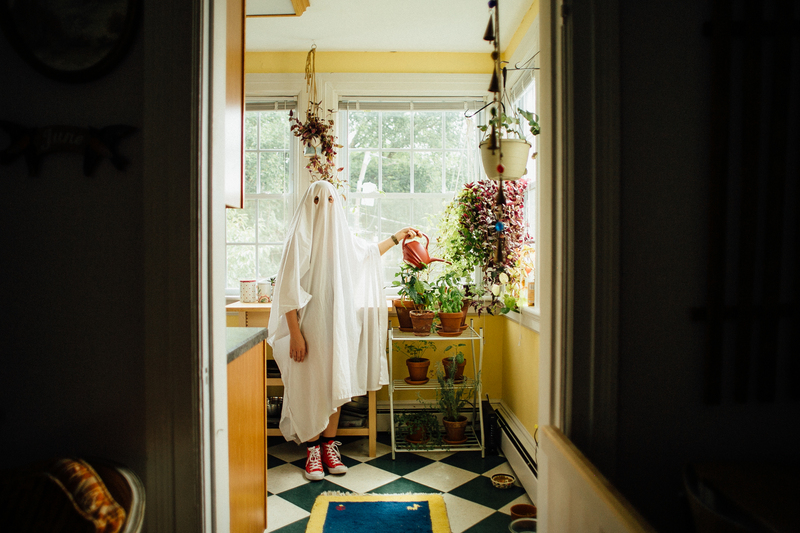 Ghost is a local Instagrammer haunting the town under the name mostlyghostingyou with her photographer, Meagan Abell. Originally taken as a picture for Halloween for Ghost’s day job, the portrait became popular quickly. With the success, they decided to create an Instagram to document Ghost’s adventures around Richmond. And with captions like “don’t spook until spooken to” and “Sheet-Faced,” it’s no wonder their Instagram has over 1,400 followers in just a matter of months. “The puns are endless,” added Abell. “People really resonate with it a lot more than we thought they would,” said Abell. Ghost was kind enough to allow me to follow her around with her photographer as I witnessed the day in the life of a ghost. This is your final warning that this story may be too spooky and pun-filled for some. Ghost began her morning with a shower and brushing her teeth when she greeted me. Even to the dead poor hygiene is just downright scary. She enjoyed a big plate of boo-berry pancakes and milk in bed as she relaxed. Abell and I opted for the died eggs and hashbrowns. “Haunted French pancakes give me the crepes!” cheered Ghost with a smile. After that, we ventured into Ghost’s garden where I was surprised to learn that she is ever the green thumb and has a very impressive plant collection she maintains. “No one gets leafed for the dead in my house,” said Ghost. Ghost is reminded me of the importance of education as we popped in on the first day of classes. “Haunting 101 with Professor Friendly the Ghost,” Ghost whispered when I asked which class this was. 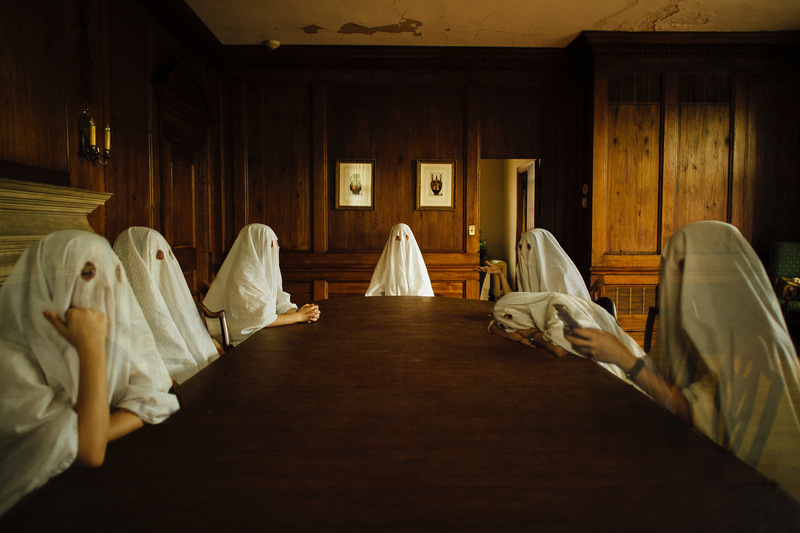 Our Georgian boardroom at RVA Mag headquarters was the perfect spot to hold a spooky education session. We took a break between her classes to venture upstairs to the RVA Mag offices where Ghost haunted our darkened hallways. We kept hearing a voice saying something about a red rum, but we agreed it was too early in the day for a drink. However, all work and no play makes RVA Mag workers grumpy so we did venture over to the dark side for a bit. Ghost had a therapy appointment after her classes. Even in the afterlife self-care is of the utmost importance. 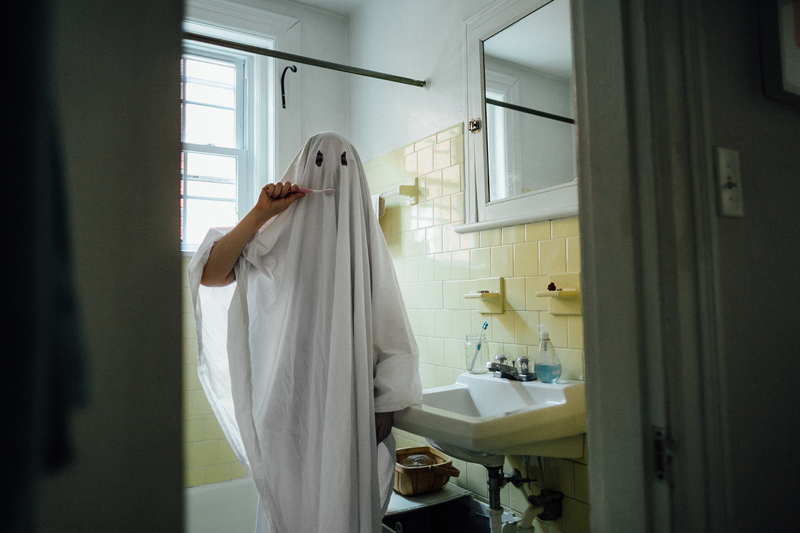 “Sometimes talking about your inner demons doesn’t have to be so spooky!” reminded Ghost. We made it back home after therapy to give her beautiful dog a walk in the sunshine. “Dogs are a ghoul’s best friend!” said Ghost. Ghost never misses her workout in the evening and my day with her was no different. I thought I was in shape, but her cardio routine is simply terrifying. “Deadweights are my favorite,” added Ghost. Sweaty and tired, we made it back home to relax. Stranger Things is one of her current favorites on Netflix. She wanted me to really watch and understand Ghostbusters with her, but we agreed we weren’t just ready yet in our new friendship. Finally, as the sun set behind the clouds, it was time for me to begin bidding my new friend and her family adieu. She reads her adorable cats a bedtime story each night as part of their routine. “Paranormal Cat-tivity is their favorite,” she shared. Halloween has always been my favorite holiday, and classics such as “Beetlejuice” have always held a special place in my heart. After today, I left with a new appreciation for the ghost members of our community, and a new understanding. As Ghost and Abell go forward, I did have to ask how long we could expect to see and follow the adventures of Richmond’s new favorite ghost ghoul? The answer was a relieving indefinite. 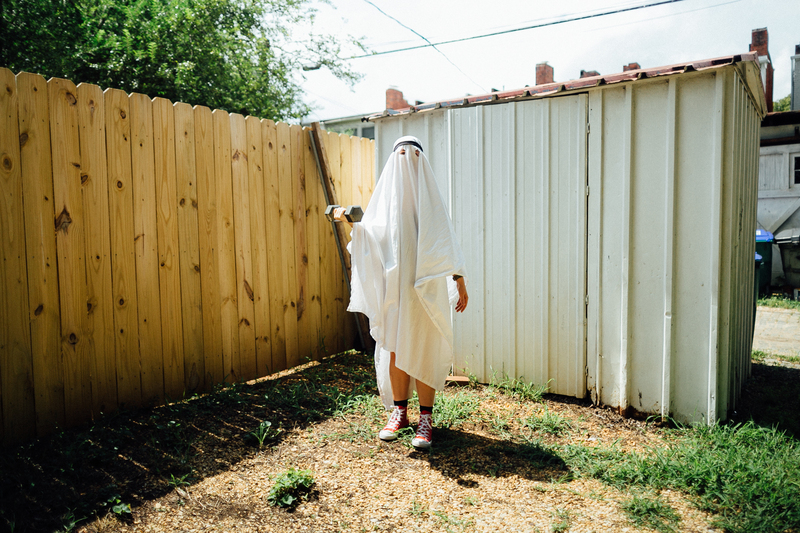 “I don’t know if I’ll ever get bored with it, I don’t know how it will end,” said Ghost. 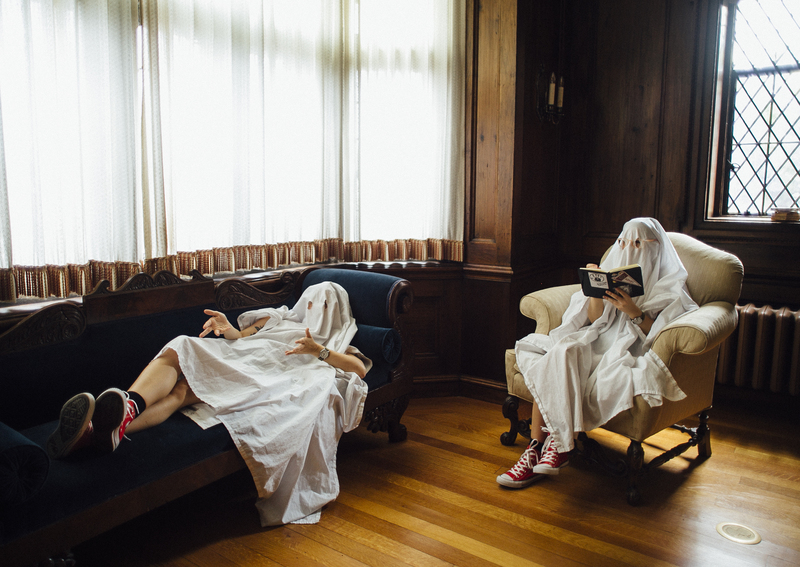 Adding to their reign as the nicest ghost and photographer team in the River City, Ghost and Abell said their hopes for what they wish people knew about ghosts are pretty simple. “That they’re funny and cute! 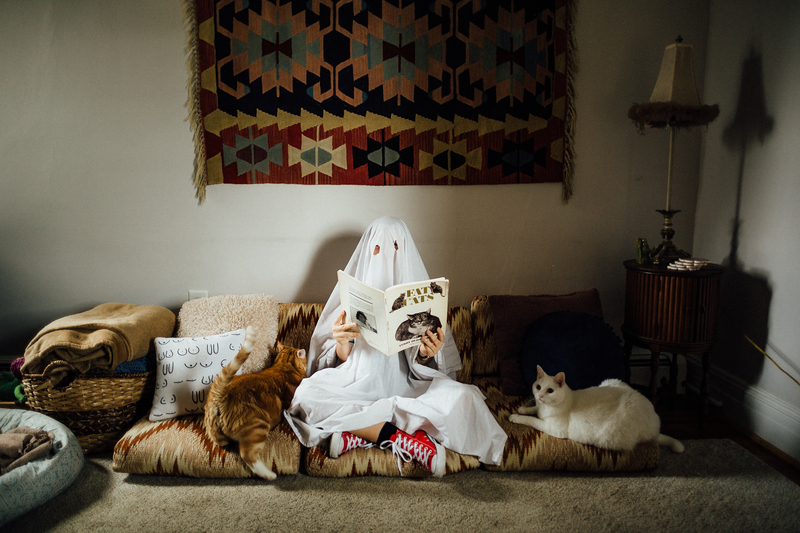 They have to scoop cat litter and the normal stuff, too!” said Ghost. Richmonders, let it be known. Ghosts, much like celebrities, are just like us after all. Until we meet again, my new spooky friend.